• Dahlia 101 "Storing Dahlias Over the Winter"
• An American Dahlia Society slide presentation of trial garden participants and other dahlias grown from seed. This slide show will give LIDS members a first look at what is new and which dahlias you may want to order and add to your garden in the spring. 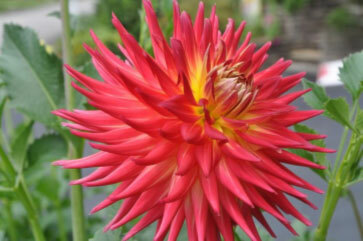 Information will be available on how to purchase these new dahlia tubers. The Garden Director will advise this month if help is needed in the Barn. LIDS members and their family and friends are welcome! Bring a covered dish or dessert to share Note that this is a full dinner, we are in need of main courses. Bring you dishes in a ½ size aluminum tray which fits right into the racks. Sternos and racks provided as well as paper products and soft drinks. After Party! Help cleanup, many hands make light work! The full raffle prize at the Holiday Party goes to one lucky ticket holder! 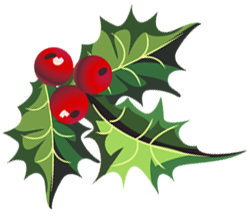 If you would like to participate in the grab bag, bring a wrapped gift $10 minimum that is either garden or holiday related. A big thank you to Holly Gordon and Bob Immor for their photo presentation and photography tips that they shared at our October meeting. The Very Last Show of the Season and Bills Birthday, too! 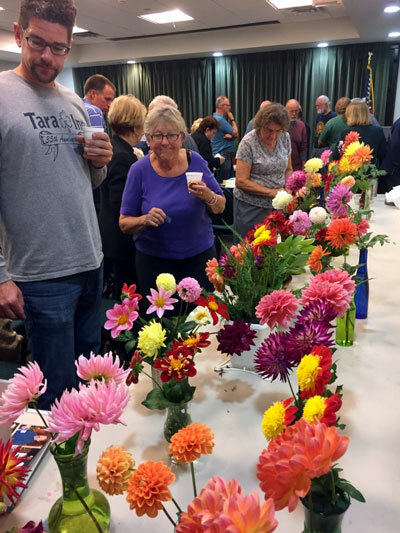 In addition to the photo presentation, our October meeting also featured dahlias brought by LIDS members for a very informal dahlia show hosted by Dennis Kirchner. 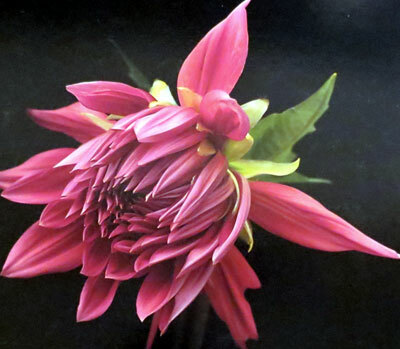 See the new category on the website, 2016 Show Winners, for a list of all awards that were won at LIDS dahlia shows during the 2016 season. 2016 LIDS Show Special Thank You! LIDS would like to thank everyone who helped with the show planning, set up, clerking judging, awards, and cleanup. Your continual help and energy is what keeps our club going and is most appreciated! Francine Tepper was on hand to help set up the tables for the luncheon, thank you Francine! Thank you to everyone who donated food and salads and who cleaned up after the luncheon! Another thank you is in order for Beth Laudrie who delivered our show lunches and has also brought pizza to the garden for special events! Thanks Beth, your time and effort means a lot to the club! The full list of winners has been posted on the LIDS website, under 2016 Photography Contest. LIDS will have AC Abby tubers available in the spring. An American Dahlia Society slide presentation of trial garden participants and other dahlias grown from seed. This slide show will give LIDS members a first look at what is new and which dahlias you may want to order and add to your garden in the spring. Information will be available on how to purchase these new dahlia tubers. You can pay your annual LIDS membership dues at any monthly meeting or garden work event. Important! American Dahlia Society dues are due! LIDS needs to make a payment to the ADS for our member’s subscriptions. 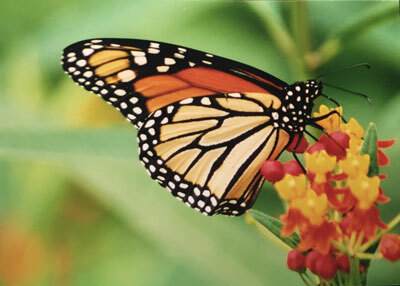 Check out the updated "Butterflies on Dahlias" page on the LIDS website, you can submit your won dahlia butterfly photos, see the page for directions. 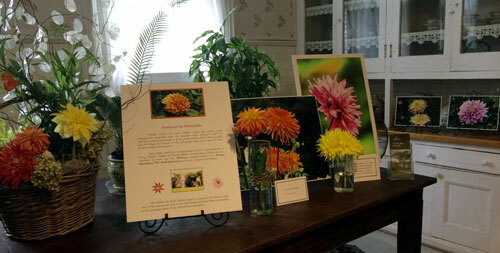 The Manor House featured a "Dahlias in the Fall Garden" display designed by Maureen Burford and Chris Ayasse. This exhibit closed when the dahlia garden was taken down. Thank you to everyone who provided flowers for this exhibit. 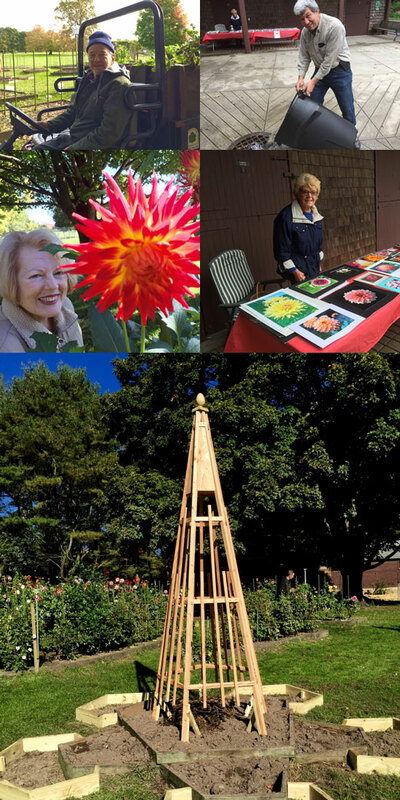 Each Saturday during the dahlia season our volunteers meet at 9:00 a.m. at the William Wolkoff Dahlia Garden in Bayard Cutting Arboretum. Under the leadership of the Garden Director Joe Lysik, our volunteers support the garden by preparing the tubers for planting, maintaining the garden during the blooming times, through the digging up the tubers at the end of season, this is a hands-on learning experience, all are welcome. 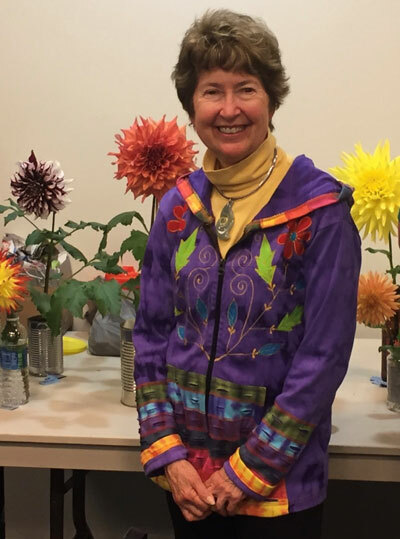 Work in the garden is followed by coffee & cake at 11:00 a.m.
What's Happening at the Bayard Cutting Arboretum?